Our Christmas Spirit is in full swing as we prepare for tomorrow’s premiere of DuckTales’ latest episode titled “Last Christmas!” I’m so jacked-up I’m thinking about letting the girls open gifts tomorrow morning. Christmas may be 26 days away, but the Disney Channel YouTube page has already blessed us with another new clip from “Last Christmas!” Check it out below, then scroll down for my reaction. In a nod to “Mickey’s Christmas Carol,” Scrooge avoids the pressures of the holidays by traveling back in time with a trio of fun-loving ghosts to crash history’s greatest Christmas parties instead. Meanwhile, time-lost Dewey teams up with young Donald Duck to find his mom on Christmas. *Jack McBrayer (“30 Rock”) guest stars as fun-loving ghost Past. Listen, this is going to be the best episode of DuckTales so far. I mean, since before 1987! 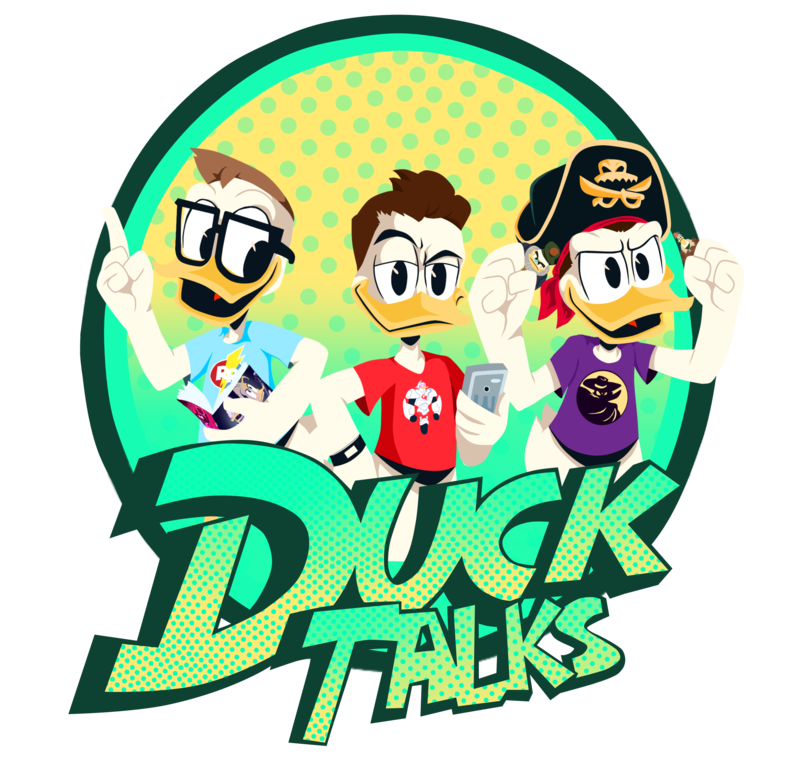 The writers, animators, and voice cast have all proven to us at this point that they know exactly what we want from DuckTales, and I have no doubt that we are going to get it. This clip has me even more ecstatic than I was before I watched it four times. I mean, I can taste candy canes right now and I don’t know that there even any in the building. Being fans of Donald, Scrooge, and DuckTales you know that we love “Mickey’s Christmas Carol.” It is a long-standing tradition in our homes for the holiday season. I bet we watch it four or five times this month. Dickens story is the perfect Christmas story on its own, but then you add our favorite Disney characters! I don’t even know what else to say! I love that we see the house buzzing with excitement as they prepare me for Christmas morning. The kids are excited, Duckworth is hard at work, Mrs. B is methodically preparing the mansion for the festivities, and Scrooge looks like he could take on every Beagle Boy Eric Bauza could possible voice! December is Scrooge’s Anniversary month because his debut story was in December of 1947. The first story was “Christmas on Bear Mountain” by Carl Barks. You may have heard the story mentioned by Mrs. Beakley. It is apparently one of the households Christmas Traditions to watch the movie. Then after he has expressed his displeasure with the whole affair he utter three iconic syllables; “Ba-hum-bug.” Webby’s reaction mirrored my own. We are, for sure, going to have fun with the Easter Eggs in this episode. Buckle up DuckFans, we are in for a treat tomorrow! “Last Christmas!” airs Saturday morning at 7:30 on the Disney Channel and will be available on the Disney Now app. I WANT to watch the clip…. BUT….. I’m going to skip it. With the episode already set to record tomorrow morning, and knowing we will watch it several times over the next month, I’m going to tough it out and wait to see it in context. REALLY EXCITED THOUGH! Not a bad idea. I support your choice. It has me ready to leave work, finish the holiday shopping, decorate the house, and celebrate Christmas tomorrow! Tomorrow is going to be grand!